Nearly all your employees use mobility options every day. And this mobility creates vast potential—good and bad. Anytime, anywhere access to applications and data boosts productivity and empowers your workforce. But it also creates new security and governance issues. To effectively handle all this, you need a mobile strategy that protects corporate assets while enabling collaboration and growth. 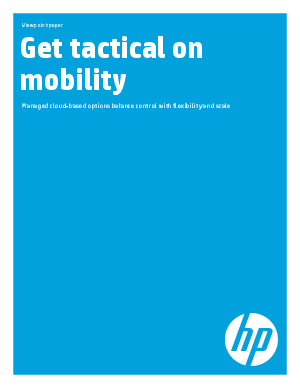 Download this white paper to find out about HO Cloud-based mobility services.